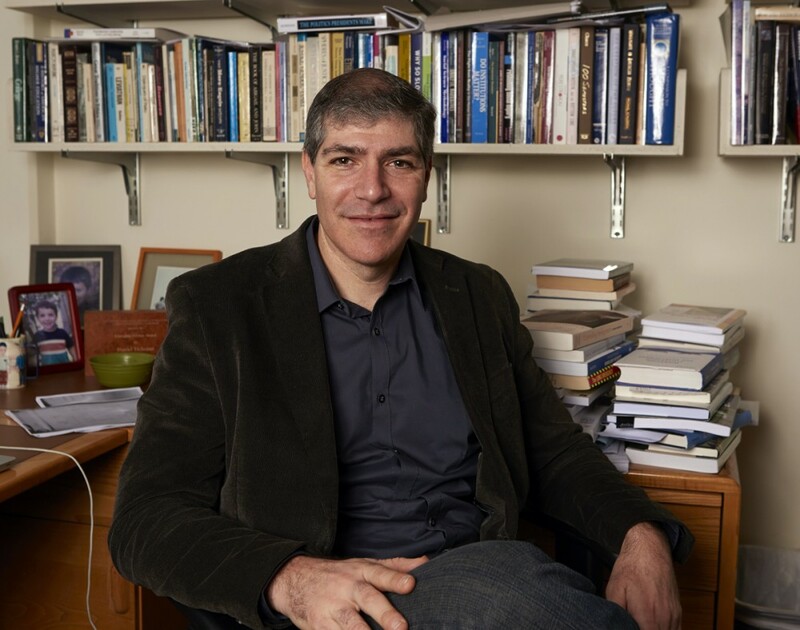 UO political scientist Daniel Tichenor has won a 2015 Andrew Carnegie Fellowship from the Carnegie Corp. of New York. Tichenor, the Phillip H. Knight Chair of Social Science and a Senior Faculty Fellow at the Wayne Morse Center for Law and Politics, will receive $200,000. He will use the funds to support a yearlong sabbatical for his research on the future of the estimated 11 million undocumented immigrants in the United States. “I'm ecstatic to receive the Carnegie fellowship,” Tichenor said. “It's a nice vote of confidence in my past work and my new research blueprints. But I'm most excited about the fact that Carnegie support will make it possible for me to finish research and writing on a book titled "Democracy's Shadow: Undocumented Immigrants and the Quest for Inclusion." Tichenor is among 32 scholars selected from a pool of more than 300 nominees. The Carnegie Corp., which promotes “the advancement and diffusion of knowledge and understanding,” celebrated its inaugural class with a full-page ad in The New York Times and other publications. Fellowships went to researchers in the humanities and social sciences whose work addresses the theme "Current and Future Challenges to U.S. Democracy and International Order." Winning proposals cover such topics as policing and race, big data and privacy, the impact of an aging population, the safety of generic drugs and how attitudes are formed among voters. The author of six books and more than 50 refereed journal articles and chapters, Tichenor has published extensively on immigration politics and policy, as well as the American presidency, civil liberties, interest groups, social movements, political parties and U.S. political development. His book “Dividing Lines: The Politics of Immigration Control in America” (Princeton University Press) was chosen for the Gladys M. Kammerer Award as best book in American national policy by the American Political Science Association. He also has won the Jack Walker Prize, Mary Parker Follett Award and Polity Award. Prior to coming to the UO in 2008, Tichenor was an associate professor at Rutgers University. He has been a faculty scholar at the Center for the Study of Democratic Politics at Princeton University, a research fellow in governmental studies at the Brookings Institute, an Abba P. Schwartz Fellow in immigration and refugee policy at the John F. Kennedy Presidential Library and a research scholar at the Eagleton Institute of Politics. Tichenor describes his Carnegie project as “a sweeping study of one of the most contentious, daunting and critical issues on the national agenda.” He will do fieldwork in key states and cities with divergent immigrant policies and environments, as well as to conduct interviews with movement activists and elected officials on different sides of this issue. For more information about the 2015 Andrew Carnegie Fellowship recipients, visit the Carnegie Corp.’s interactive website. Read a Q&A with Tichenor.